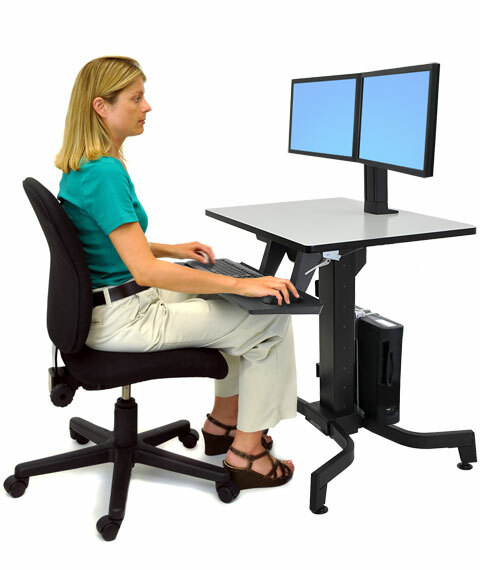 WorkFit-PD, Sit-Stand Desk (light grey) - The WorkFit Personal Desk (PD) enables an effortless sit-and-stand work style—move from a sitting to a standing position whenever you want. 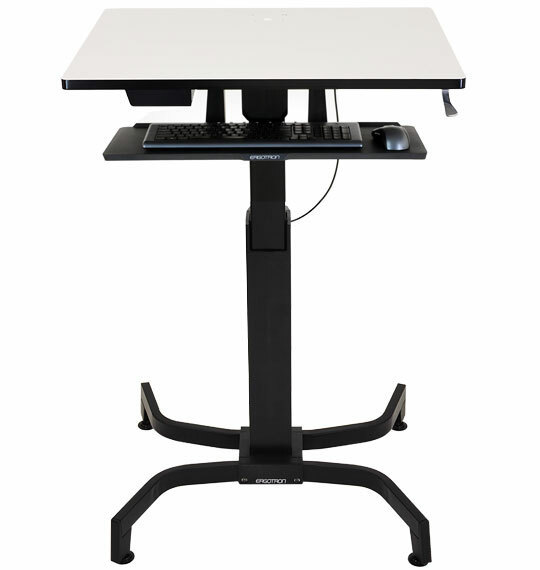 Customize with accessories to fit individual user needs and workflow. 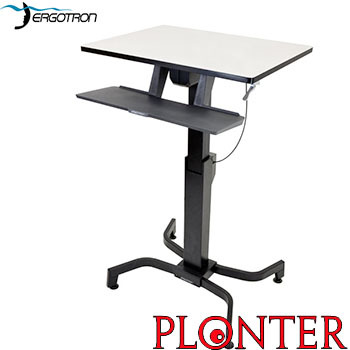 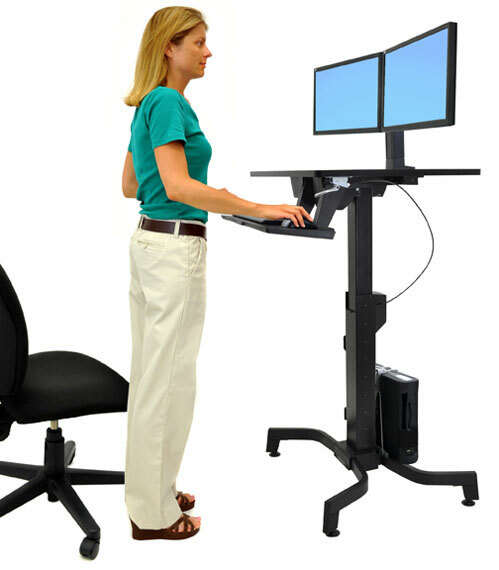 Features 19.5 inch (50 cm) height adjustment—patented CF technology allows instantaneous, tool-free, non-motorized re-positioning while you work! 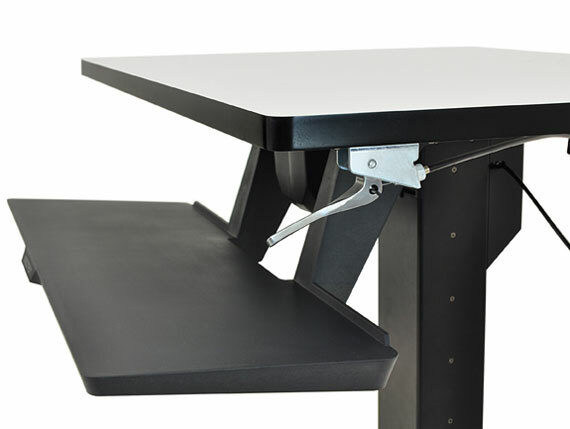 An integrated brake secures table in place and easily releases to change heights.